Applied Ingenuity has over 50 years of combined experience on a wide range of water resource projects. We provide low risk solutions to existing and new clients in the Western U.S. and abroad. We approach each project with a focus on problem solving, ensuring solutions that provide the best products and service longevity for our clients. Applied Ingenuity services large public municipal entities as well as small private customers and all sizes and industries in between. We understand that each project is different, so we provide the most cost effective, quality solution to fit our customers' unique needs. We not only focus on relationships with our customers but also our valued product suppliers. Our quality commitment starts from scoping the initial product to working with our preferred product suppliers to assure the best price and best delivery options for our customers. When pumping systems are complex, we support the entire system assuring you customer satisfaction and system longevity. Applied Ingenuity offers the widest range of water resource solutions with the lowest risk in the Western Region and abroad. Many times we have customers that are in need of increased flow due to the output requirement changes. As part of our cleaning process we have the capabilities to brush and bail any well casing from 4” up to 24” in diameter. 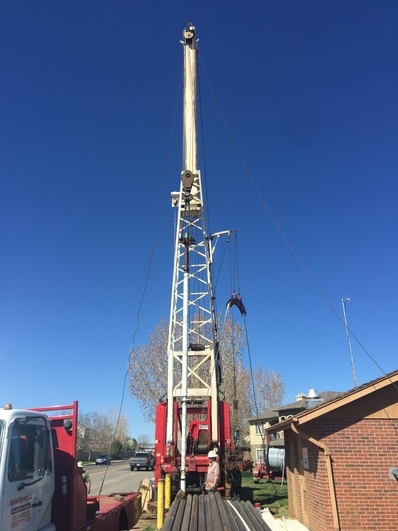 No better way to really understand what is happening in a well than with utilizing our dual view water well inspection camera. pumping system services to anyone in need. © 2019, Applied Ingenuity LLC. All Rights Reserved.